1. Acceptance of Terms: This Site is a resource for architectural quality control purposes. By accessing Archcontrol.com (the "Site") you hereby agree with IBI Group, the provider of this Site, to all of the following terms and conditions of acceptable use (the "Terms & Conditions"). If you do not agree to these Terms & Conditions, do not access or use the Site or any content on the Site. You hereby agree on behalf of yourself and your organization that the content on this Site is provided solely for architectural quality control purposes, in connection with your provision of professional residential construction services for the developments and projects listed on the Site, and is subject to the restrictions and limitations described below, and that the content may not be copied, reproduced, republished, transmitted or distributed in any way, without the express written permission of IBI Group. You may not use this Site for any illegal, improper or unauthorized purpose, other than as permitted in these Terms & Conditions, and you may not use this Site in any way that infringes the rights of others. 2. Your Account: To access and use certain portions of the Site, you will be required to register and create an account. You are responsible for maintaining the confidentiality of your account information and password. You shall be responsible for all uses of your account. You agree to immediately notify IBI Group of any unauthorized use of your account. 3. General Access: Portions of the Site which do not require an account and password are provided for information purposes only, or for personal, non-commercial use. Users without an account are still bound by the restrictions and disclaimers set forth below, and if you use this Site you will be considered to have agreed to these Terms & Conditions. 4. Content: IBI Group and authorized users may upload certain content to the Site, such as plans, diagrams, architectural control data, architectural approvals, statistics, colour selections, plot plans and elevations, architectural guidelines booklets, marketing plans, maps, video, text, images, links and contact information, as the Site permits ("Content"). We claim no rights of ownership to Content that is uploaded, submitted or provided by others. If you upload Content, or provide Content to us for uploading to the Site, then you are solely responsible for that Content, and the consequences of posting or publishing it on the Site. In connection with such Content that you provide or upload, you represent and warrant that: you own or have the necessary and required licenses, rights, consents (including consents of homeowners, architects, and content authors), and permissions to submit and post such content on the Site. By submitting or uploading Content to the Site, you hereby grant to IBI Group a worldwide, royalty-free license to use such Content in connection with the purposes of this Site. IBI Group reserves the right to remove Content without prior notice. g. Copy or duplicate the layout and design of the Site and underlying code and database structures. 6. General Disclaimers: While we strive for accuracy and completeness, IBI Group does not provide any guarantee or warranty with respect to any Content posted to the Site. We expressly disclaim any and all liability in connection with Content on the Site. Since the Content has been compiled by IBI Group from a variety of sources including third-party providers, it is provided to you "as is" and "as available". IBI Group does not warrant or make any representations of any kind regarding the use or the results of the use of the Content or features on this Site, in terms of their correctness, accuracy, reliability, or otherwise. The Content on this Site could include technical inaccuracies or typographical errors.  IBI GROUP ASSUMES NO RESPONSIBILITY TO YOU OR ANY THIRD PARTY FOR ANY ERRORS OR OMISSIONS OF ANY KIND IN THE CONTENT, AND DISCLAIMS ALL WARRANTIES AND/OR CONDITIONS, EXPRESS OR IMPLIED, AS TO THE CONTENT AND TO ANY MATTER RELATING TO THE SITE, INCLUDING, BUT NOT LIMITED TO, IMPLIED WARRANTIES AND/OR CONDITIONS OF NON INFRINGEMENT, MERCHANTABILITY AND FITNESS FOR A PARTICULAR PURPOSE. 7. Copyright: All content published on or otherwise accessible through this Site is protected by copyright in Canada and through international treaties. Content supplied or authored by IBI Group is owned by us, along with the layout and design of the Site and underlying code and database structures. 8. Trade-marks: All logos or trade-marks of IBI Group are protected in Canada and through international treaties and may not be used without prior written authorization. All other company names and logos displayed in the Site may be trade-marks of their respective owners. 10. Indemnity: You agree to defend, indemnify and hold IBI Group and its operators and/or related companies harmless from any and all liabilities, costs, claims and expenses, including reasonable solicitor's fees, related to any violation of these Terms & Conditions by you or users of your account, or in connection with the use of this Site or the placement or transmission of any Content or other information or other materials on this Site by you or users of your account, or any breach by you of any representation or warranty. 11. DISCLAIMER & LIMITATION OF LIABILITY: IN NO EVENT WILL IBI GROUP BE LIABLE FOR ANY DAMAGES WHATSOEVER, INCLUDING SPECIAL, INDIRECT, INCIDENTAL OR CONSEQUENTIAL DAMAGES, ARISING OUT OF OR IN CONNECTION WITH THE USE OR PERFORMANCE OF THIS SITE OR THE CONTENT AVAILABLE OR REFERRED TO ON THIS SITE, OR ANY OTHER SITE YOU MAY ACCESS THROUGH THIS SITE, EVEN IF ADVISED OF THE POSSIBILITY OF SUCH DAMAGES. IN ANY EVENT, YOU AGREE THAT THE AGGREGATE LIABILITY OF IBI GROUP FOR DAMAGES SHALL BE LIMITED TO THE AMOUNT, IF ANY, PAID BY YOU TO USE THE SITE. 12. Linked Sites: Links available on the Site may link to third-party websites not maintained or controlled by IBI Group and IBI Group provides these links for your convenience, and is not responsible for the contents of any linked site. 13. Changes: Changes to these Terms & Conditions may be made from time to time by IBI Group, and the modified form of the Terms & Conditions will take effect 15 days after posting on this page. IBI Group reserves the right to change or remove any content from the Site, in whole or in part, at its sole discretion, at any time, without notice. 14. Miscellaneous: This Site is for use in Canada, and IBI Group makes no representation or warranty that materials on this Site are appropriate for use at any locations outside Canada. These Terms & Conditions constitute the entire agreement between IBI Group and you with respect to your use of this Site. IBI Group's failure to insist upon or enforce strict performance of any provision of this Agreement shall not be construed as a waiver of any provision or right. If any of the Terms & Conditions is determined to be void, invalid or otherwise unenforceable by a court of competent jurisdiction, such determination shall not affect the remaining provisions hereof. This Agreement shall be governed by and construed in accordance with the laws of the Province of Alberta and the federal laws applicable within the Province of Alberta, without regard to its conflict of laws rules. You submit to the exclusive jurisdiction of the courts in the Province of Alberta in the event of any dispute arising under this Agreement. The parties have required that these Terms & Conditions and all related documents be drawn up in English. Les parties ont demandé que cette convention ainsi que tous les documents qui s'y rattachent soient rédigés en anglais.